Homemade Authentic Red Enchilada Sauce is full of flavor, easy to make, and taste better than the canned version. I will admit first hand that buying enchilada sauce is a nice convenience, and easy when you need dinner on the table fast. 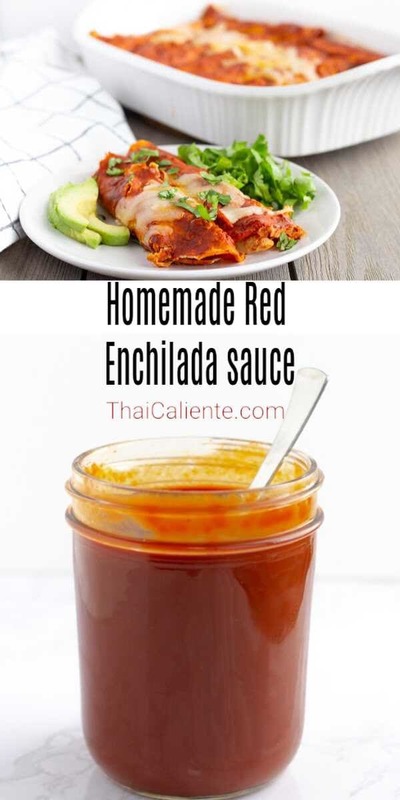 But once you try making your own enchilada sauce you’ll be surprised how easy it actually is and how the flavor can be adjusted to your liking. There’s only 1 main ingredient for homemade red enchilada sauce, Dried Chili’s, then they are combined with water, garlic, and salt to taste. You can use a combination of Ancho and Guajillo, which are both mild in spice. If you want the enchilada sauce spicy then you can add chile de árbol. Since my kids were eating the enchiladas, I did not add spicy peppers, and instead used 3 Guajillo and 2 Ancho chilis. This made 16 oz of Red Enchilada sauce and was enough to make about 14 enchiladas. Once you have the enchilada sauce made you can store it in an airtight container in the fridge up a week, or you can freeze it as well. Leftover turkey was my inspiration to make the red enchilada sauce. Seems like there’s always leftover Turkey after Thanksgiving. 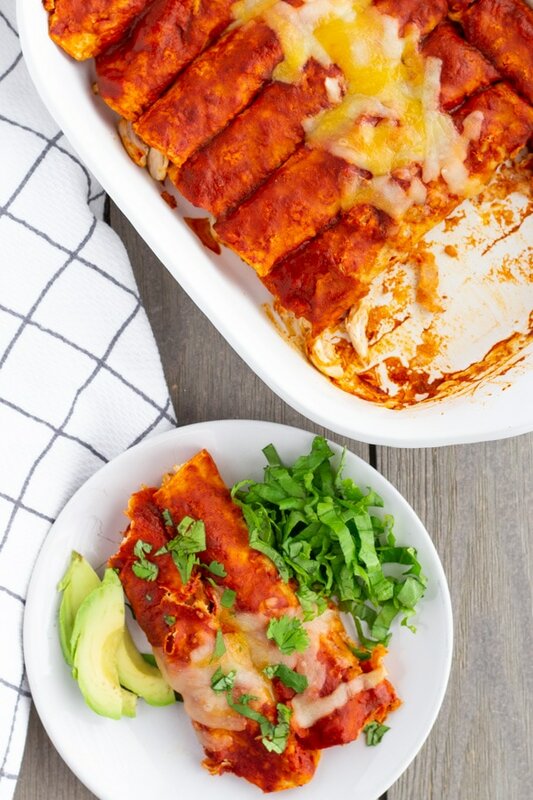 The beauty of enchiladas is that you can fill them with just about anything, but commonly there are filled with Shredded Chicken, Cheese, or Beef. I’ve included instructions below on how to roll the enchiladas. It can be a process, and sometimes I’ll just have them flat and layered like a lasagna. 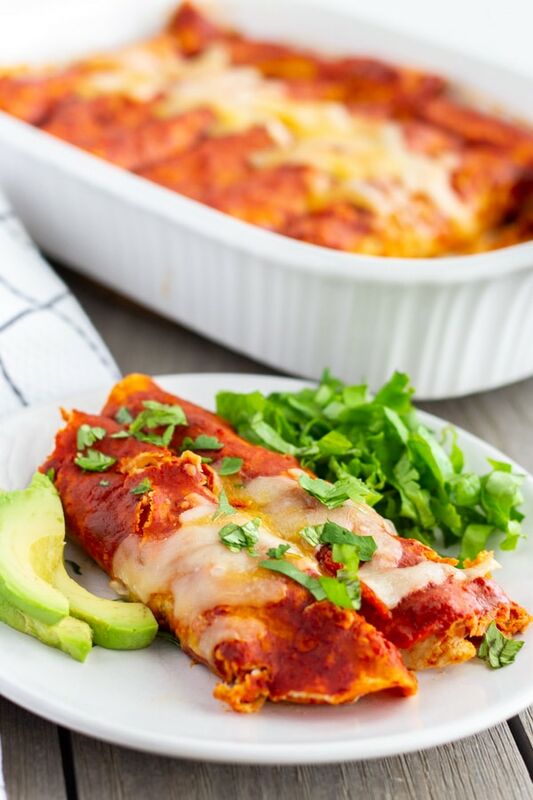 Or you could use zucchini for a low carb enchilada like the ones I made here. 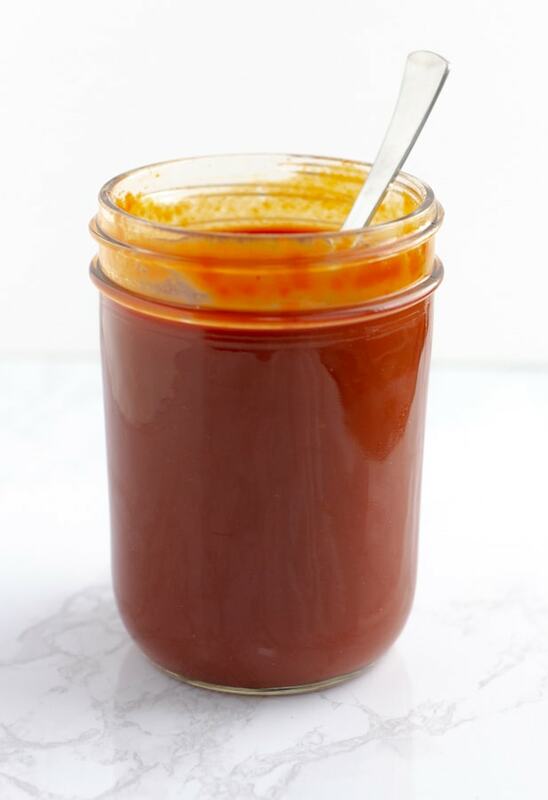 Homemade Red Enchilada Sauce is full of flavor, easy to make, and taste better than the canned version. 1/4 Cup Oil I used Avocado, but you can also use grapeseed, vegetable, or canola. Remove stems from dried chilis and shake the seeds out. Then place in a small pot of water, bring to a boil then turn off heat and place lid. Allow chilis to soften, about 20 minutes. Place softened chilis in a blender with 2 cups of the cooking liquid, 1 garlic clove, and salt. Blend well, then pour into a strainer to remove any leftover seeds or skin. Store in an airtight container in the fridge up to a week, or freeze for another time. Place oil in a small skillet, heat to medium high. Have enchilada sauce warmed in a small pot. Have a large casserole dish set aside. Once the oil is hot, use tongs and quickly ‘fry’ tortillas on both sides, just about 20 seconds each side. Then dip into enchilada sauce, and place in casserole dish. Add filling of your choice, roll tightly, and place seem side down. Continue same process until all enchiladas are done. 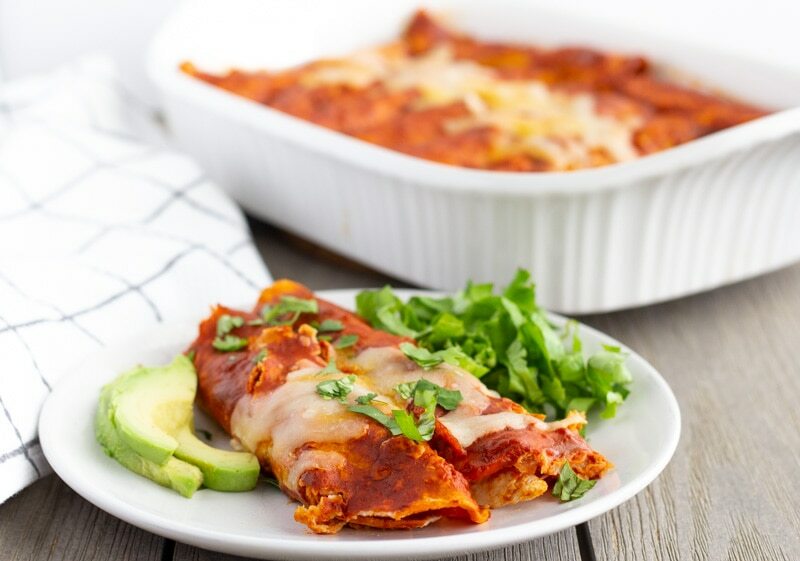 My Mother in law serves the enchiladas like this with shredded lettuce and avocado, but if you prefer to have them baked, you can place them in a 350 degree oven for about 15 minutes.